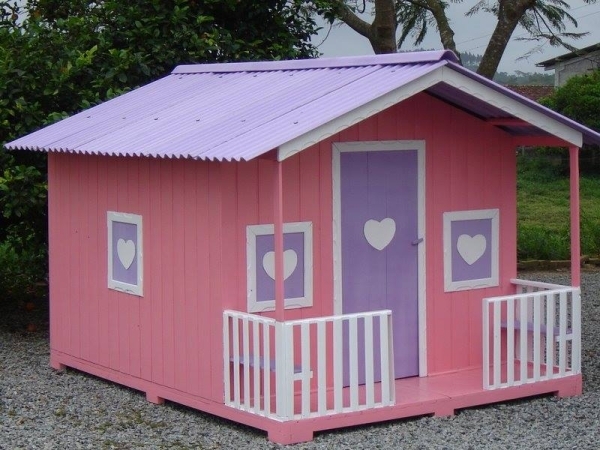 There are so many branded doll houses out there in the market that we buy to please or baby girls. Sometimes they cost too high but keeping in mind the happiness of our kids we go to any extent. 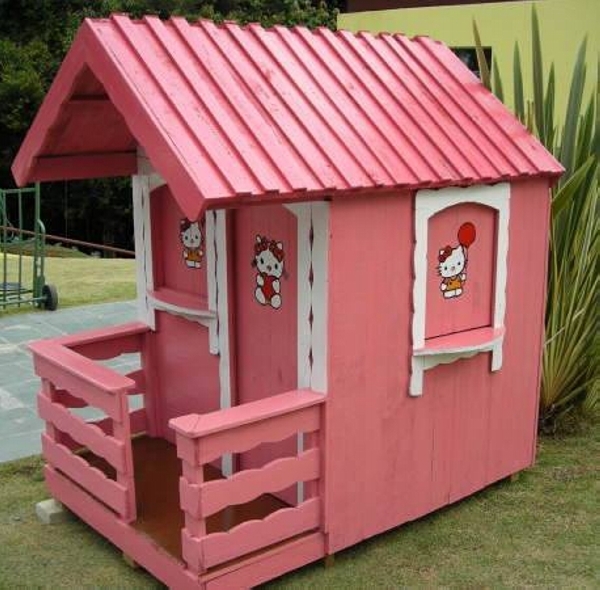 We buy them these expensive doll houses just in order to make them smile and happy. 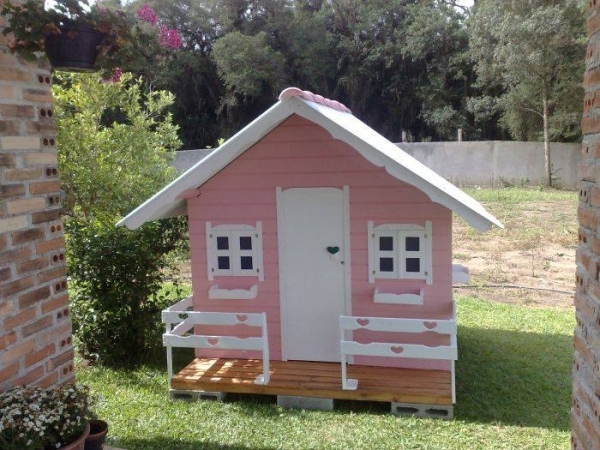 Here in this article we are going to discuss a huge number of doll houses for kids. Mostly they are upcycled with the wooden pallets, but some are also market based using same expensive timber. Following a certain pattern they are going to have various colors and designs. 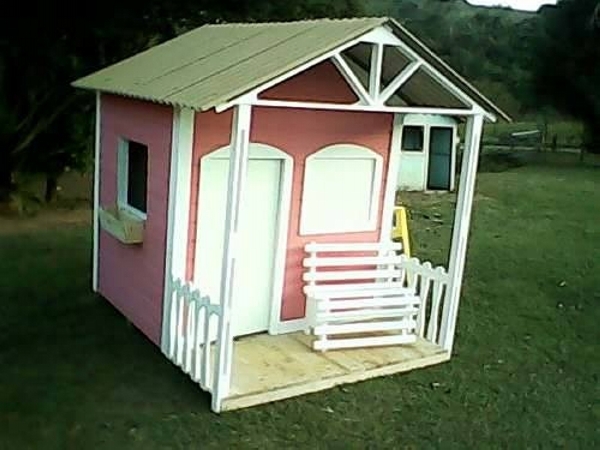 Beginning from the first kids doll house, this is a huge yet elegant kids doll house. Most of these doll houses are primarily meant to accommodate your baby dolls you love most on this entire earth. 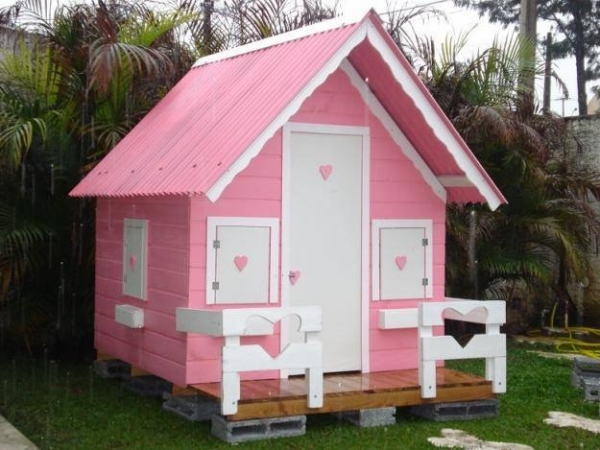 This is a hut shaped big doll house painted in bright or baby pink color which is mostly liked by all the baby girls. After the main congested entrance space, there is a huge wooden cabin inside having a full fledge door along with windows for the cross ventilation. There could also be seen a pallet wooden bench for sitting purpose. This is such an enthusiastic and colorful kids doll house. Though it is not carrying the same typical color, it is painted as orange color, still it maintains a plenty of charm for the little kids. 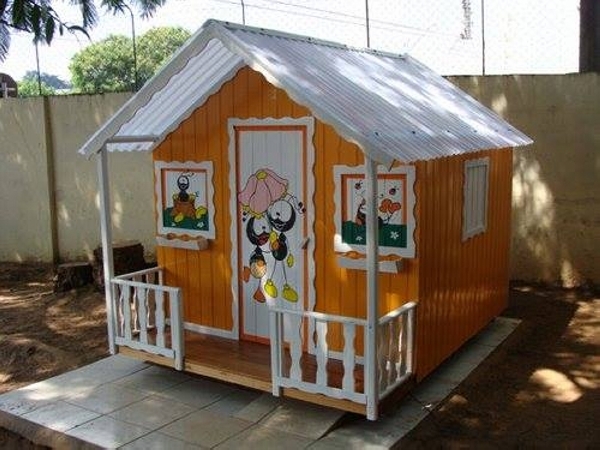 Its door and wall paintings are a symbol indicating that this wooden box or doll house is especially designed for the kids. 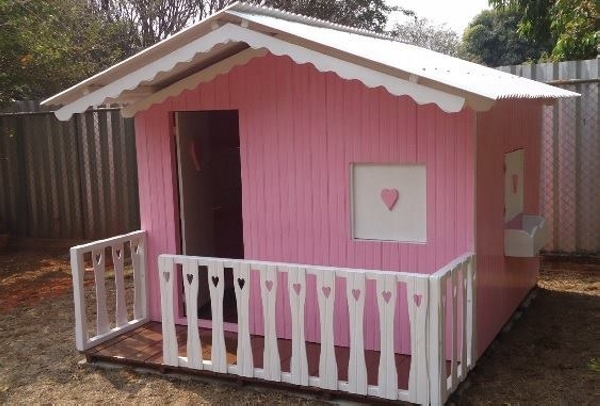 Installed on a huge wooden deck, this hut shaped doll house is pretty spacious for a number of kids who can just get inside and play with their toys. Lastly the color combination is also pretty appealing. 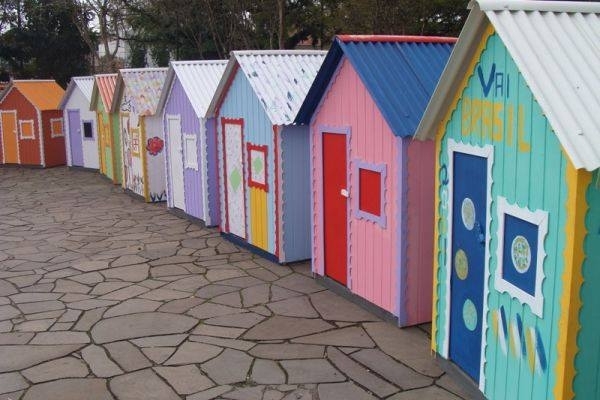 Here we come across a whole range of doll houses for kids. All of them carry same design but each one of them is having different color scheme that could match your choice. 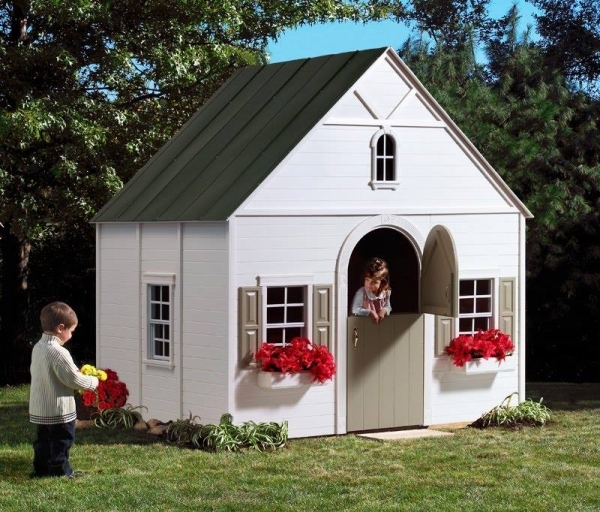 All hut shaped doll houses are meant to please your actual baby dolls, you just have to pick one out for your angel. The next one is apparently a vintage urban setting for kids doll house. The color scheme used in here is pretty marvelous. The same royal architectural pattern is followed here, half cut door is symbol of medieval times and it holds pretty delicate looks. 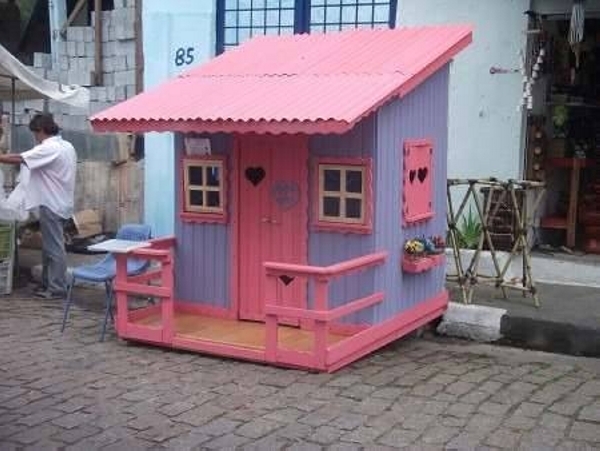 This one is again a cute typical wooden doll house for kids. Its color scheme is quite common that is seen every where on kids accessories. But one thing that justifies its individuality is its design and shape. Rest of all necessary features are added very smartly. Now this one seems like belonging to some Scottish rural setting or some farmhouse villa which is painted in a bright yellow color which is symbolizing the existence of life. This kids doll house is slightly different in color dimensions, as it reflects a bit maturity, but the welcome signboard on front door has compensated well. Have a look on the next kids doll house. Though this one seems a bit old fashioned but still pretty perfect for the rural or countryside living. A relatively smaller yet a good piece of kids doll house that is well designed and executed. My baby doll really loves purple color. So this one seems like it is designed especially for her. But you just don’t worry, you can also have it by wooden pallet recycling. As far as design and appearance is concerned, it is pretty exciting for all of kids. As I said earlier that most of these kids doll houses would be carrying almost same style or design, so it is pretty evident from most of kids doll houses here in this project. 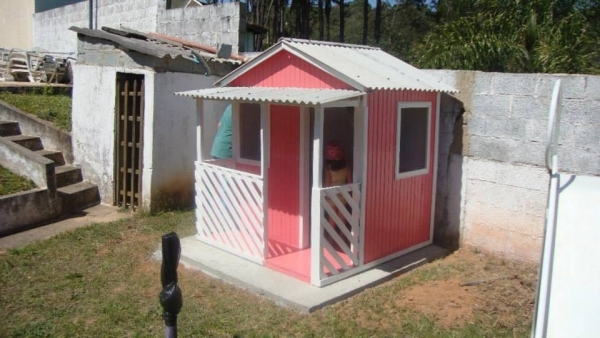 But again the difference in color shade is making it a distinguished kids doll house for sure. Now this is again an exciting kids doll house having all the essential features that kids would prefer to have in their doll house. It is painted in most appropriate color shade, plus there is a huge poster of a cat on the front door to lure baby girls. This is simply too cool. This one looks like a whole portion is spared for kids to play. 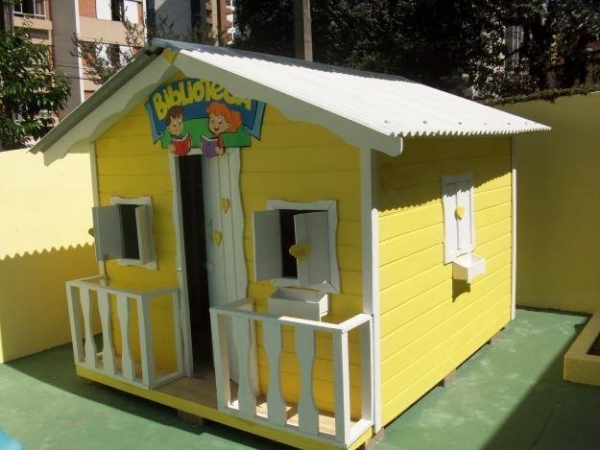 This wooden kids doll house along with some kids paintings seems like a complete fun or gaming zone. 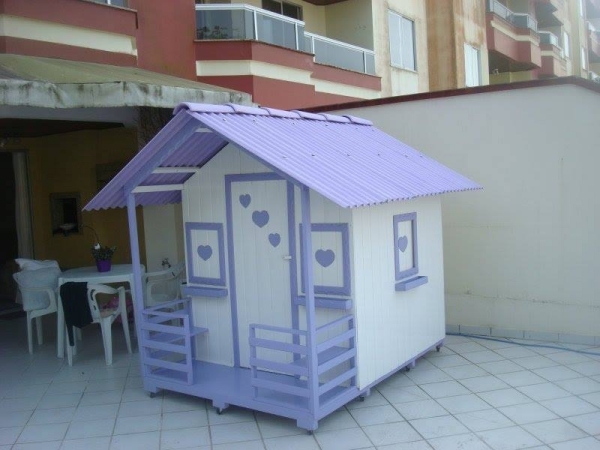 And the wooden kids doll house is making it more appropriate for the kids especially baby girls. 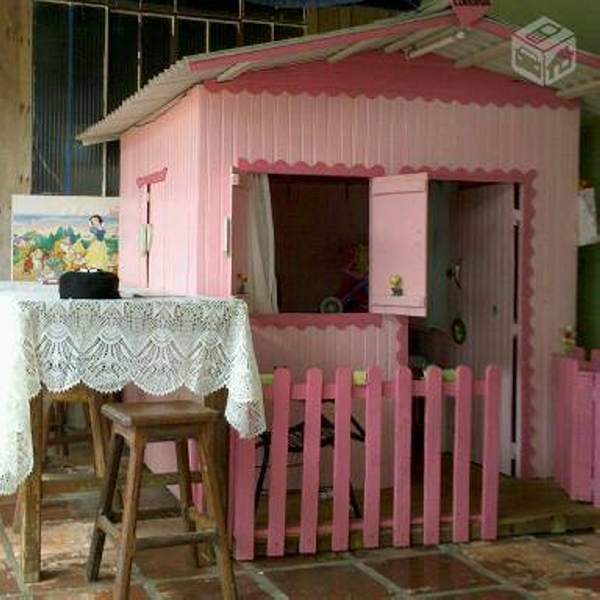 Here again we see a typical and conventional kids doll house that is pretty common in perspective of shape and design. Color is also quite common for baby girls. And the same set pattern of a traditional kids doll house is followed here again. But some fine wood art work is also done. When was the last time when you made something really exciting for your kids? We have already introduced a number of projects for kids that were pretty exciting for them. 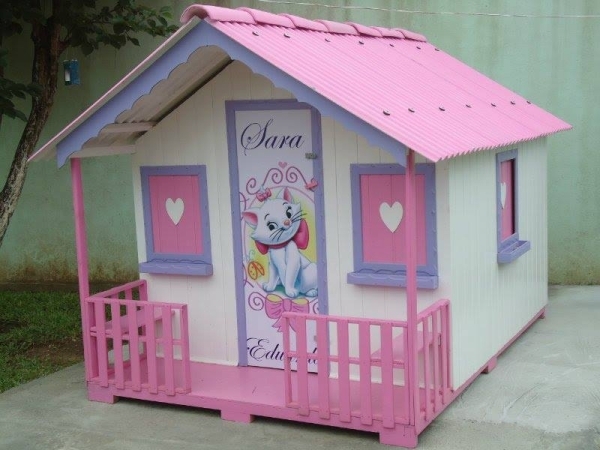 You can opt this wooden kids doll house to present to your baby doll on her next birthday. I was talking about a birthday present for your baby doll. After this tutorial I have just realized that there can not be a better gift for your little angel than this kids wooden doll house. I am more than sure that she is just going to love it overwhelmingly. 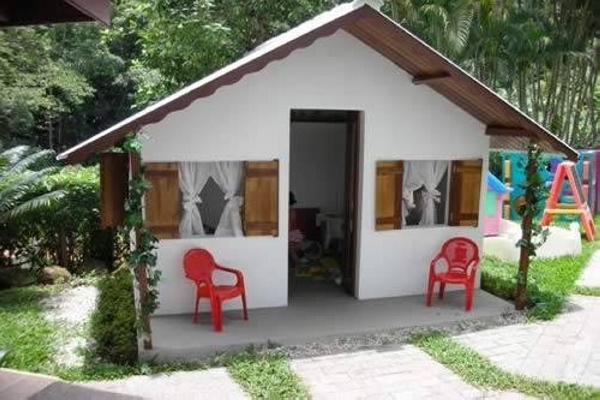 This one is a full fledge cottage where kids can play actively, there is plenty of space in this kids doll house. Wooden door, windows and curtains along with plastic chairs. It carries all that stuff which is required in a full fledge living house. 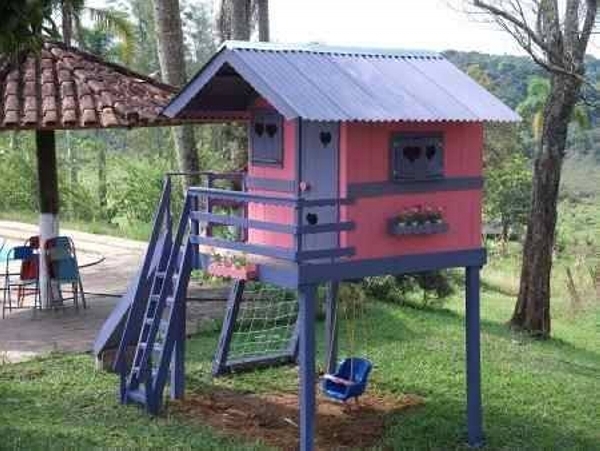 All of these kids houses are pretty amazing and worth consideration.